The United States on Thursday announced an additional US$ 1.745 million (Rs. 245 million) for demining activities of international and dometic partners and the National MineAtion Committee under the Rehabilitation , Resettlement and Hindu Religious Affairs Ministry. At a meeting with Rehabilitation, Resettlement and Hindu Religious Affairs Minister D.M. Swaminathan, U.S. 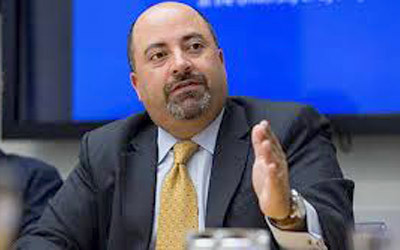 Ambassador Atul Keshap announced an additional $1.745 million (Rs. 245 million) for demining activities of international and domestic partners and the National Mine Action Committee (NMAC) under the Rehabilitation, Resettlement and Hindu Religious Affairs Ministry. The United States in total has dedicated over $43 million (over Rs. 6 billion) for demining assistance in Sri Lanka since 1993. "I support Minister Swaminathan's vision of making Sri Lanka mine-impact free by 2020," said Ambassador Keshap. "As the world's largest donor of global demining efforts, the United States is committed to addressing the land mine problem in Sri Lanka." Keshap and Swaminathan also discussed ongoing demining work in the north and east. "The United States will continue to work with President Sirisena, Prime Minister Wickremesinghe, Minister Swaminathan and the people of Sri Lanka to help clear the remaining areas," added Keshap.